Diamond Nexus Christmas Giveaway Opp! 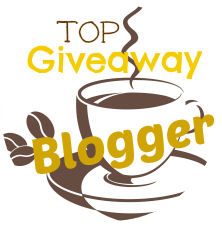 Thank you for helping me promote this giveaway on your blogs. I sincerely appreciate it and believe in team work to help each other grow! This giveaway is open to residents in the Continental US, 18 and older. Winner will be chosen at Random by Giveaway Tools and the winner will have 48 hours to respond, or another winner will be chosen. No exceptions to this! Sign-ups ending at Noon EST. Blogger referring most participants will get free Vote for Me link. I will be running this giveaway from 11/24 starting at 12:01 am to 12/12 ending at 11:59 pm EST. You must be live and posting by 11/25 , Noon EST or you will be removed without notice and no monies will be returned. You must promote this giveaway on different social media forums, i.e. twitter, facebook, pinterest, linked in, etc. and agree to promote at least 4 times a week. Failure to comply is cause for removal. To sign up please go to this link!